You might remember Mark and Fatima from their gorgeous engagement session at Maymont. They were the first couple to introduce us to the beautiful Maymont Park in Richmond. They are also the first couple to introduce us to the beautiful Trump winery in Charlottesville VA. We can now say we are a Charlottesville wedding photographer! Believe it or not, after being in Virginia for 15 years, we had never really visited Charlottesville! After this weekend, after driving through the beautiful landscape, we were ready to pack our bags and move! Nestled in the foothills of the Blue Ridge Mountains lies Virginia’s largest vineyard. As we pulled into the winery we couldn’t believe how big the vineyard was. After googling I realized that this property was 1300 acres! From private events and multiple wedding venues, this property has it all! It was absolutely stunning and the rows and rows of grapes were breathtaking. Their day was finally here and we were so excited to get this wedding day started! There are several location opportunities to get married at on the estate. Mark and Fatima utilized the chapel and Grand Hall to celebrate their big day. 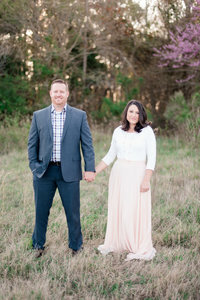 This wedding was full of all new things including two ceremonies! The couple opted to have a formal more intimate ceremony in the beautiful chapel hidden in the trees. It was like something out of a fairytale. Gorgeous eighteenth century inspired paintings adorned the ceiling. The floors were a beautiful gray and white marble which accented the art in the most stunning way. The church’s windows poured in the most gorgeous light and as the bride and groom said their vows I think I could hear the birds singing outside. Seriously we stepped into a fairytale! The second ceremony was more for extended family and friends and the view overlooked the mountains at the Grand Hall. Everyone was just excited as they were for the first ceremony and the love for this couple permeated the atmosphere. One of my favorite movies of all time is My Big Fat Greek Wedding. I always laugh so hard and despite the chaos of the family and events, Toula knows that her family loves her very much. Our beautiful bride is Russian and she had family from all over come to her wedding. I love this job because we get to be introduced to other cultures and families that we probably wouldn’t have had the opportunity to be a part of if we were not wedding photographers. During the wedding, we had a few challenges due to language barriers. However, we pushed through and we loved watching the Russians party the night away at Trump Winery! It was a sight to see! Despite the chaos, Fatima’s family loves hard and loves her so very much. They also love Mark and have welcomed him into the family as one of their own. Mark and Fatima, you two were a dream. We love the way you love one another. The way you cheer each other on, and the way you love others. You have always made us feel like we were more than just your wedding photographers, and for that reason and more we love you guys. Thank you for inviting us along on this journey of firsts with you. You have a lifetime to go and we are looking forward to watching this adventure unfold for you two. We wish you love and happiness always! Thank you to this amazing team of vendors who made their wedding day a success! More amazing wedding photography below!